The activity level of this site is illustrated by the fact that the internal railway was complex enough to require its own turntable and shunting loco. TC Jones was part of the 600 Group that included George Cohen & Sons, a large scrap merchant concern who would take over the use of this site. 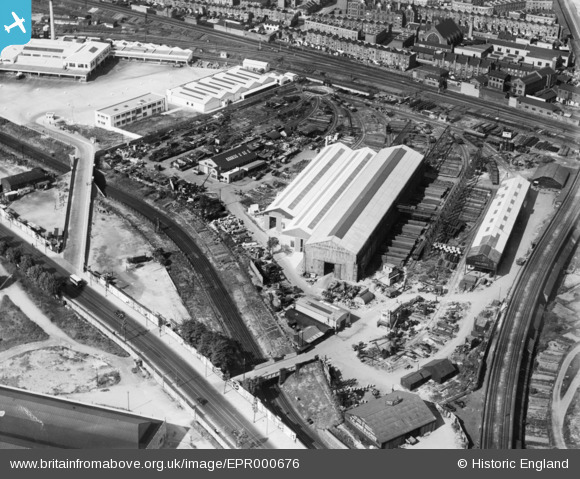 United Dairies (London Wholesale Dairies Ltd) bottling depot. This would have been the year that the plant was opened.